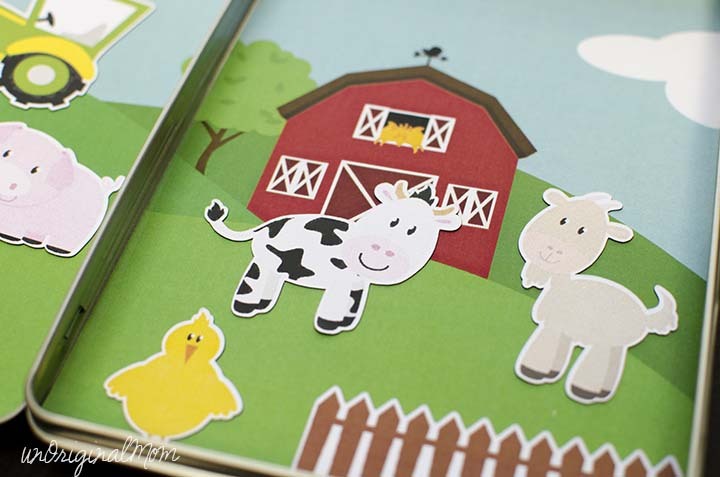 My contribution for our Toddler Busy Bag Exchange were these Magnetic Farms Toddler Activity Books, using printable magnetic sheets of paper, my Silhouette, and DVD tins. I was inspired by some magnet boards (like this one) I had seen on Pinterest, but A) purchasing 20 small cookie sheets for the exchange was going to be cost prohibitive, and B) I wanted something that was a little more self contained (like this one). So I began searching the internet for something magnetic that was “close-able” and under $2 each. That took a while. Eventually I stumbled upon tin CD cases, which I thought would be a little too small for what I wanted, but realized that DVD cases would be the perfect size! Of course, then I couldn’t find those at a reasonable price for the number I needed…but I was so excited about the idea that when I found a bulk order for 50 cases on Amazon that came out to under $2 per case, I decided to spring for them. 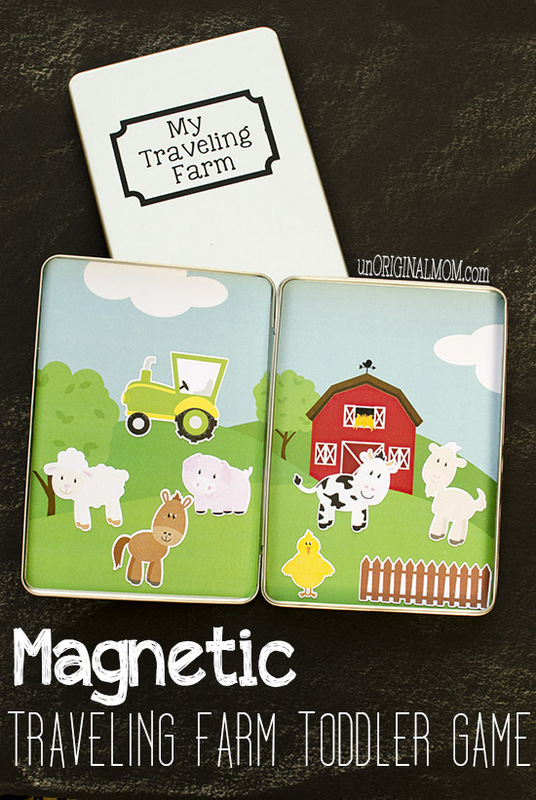 My plan is to make more of these magnetic traveling farms to sell locally and give some away as gifts to other kiddos as birthdays and Christmas rolls around. 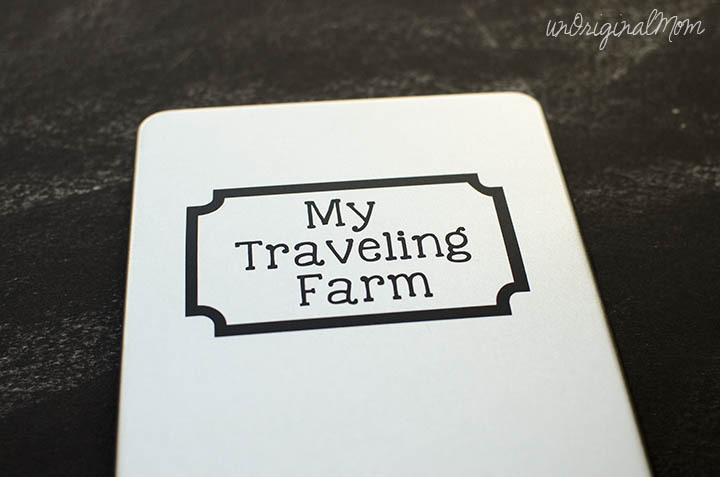 UPDATE: I’ve made some more of these farms for gifts and used Silhouette Adhesive Magnet Sheets, and it worked wonderfully! 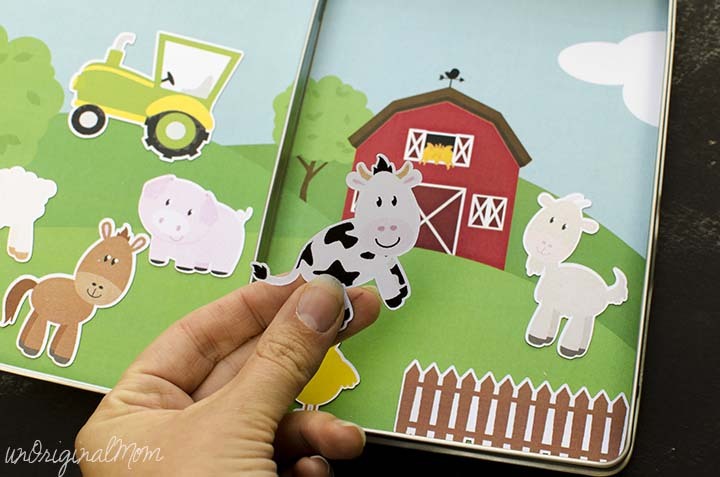 I actually got my animals printed at a copy shop on high-gloss paper and then adhered the whole paper to the magnet sheets before cutting – this way the animal magnets are shiny and a even bit more durable than the printable magnetic paper sheets. 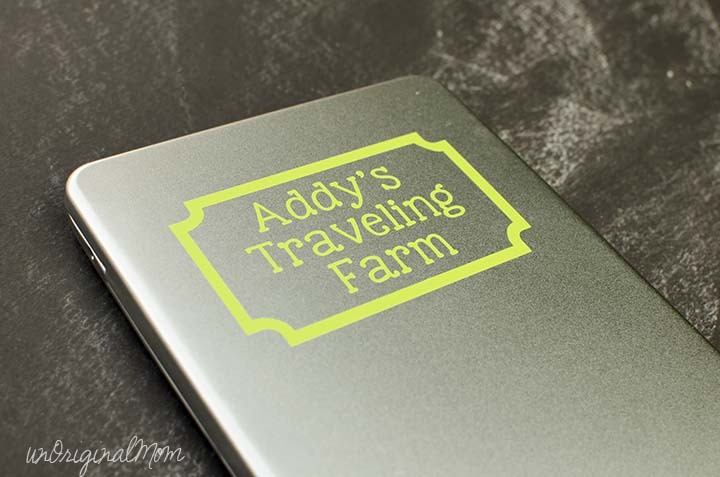 I “printed” my Studio file to PDF (see this post for a tutorial on printing to PDF from Silhouette Studio) so I was able to have my color prints done elsewhere. 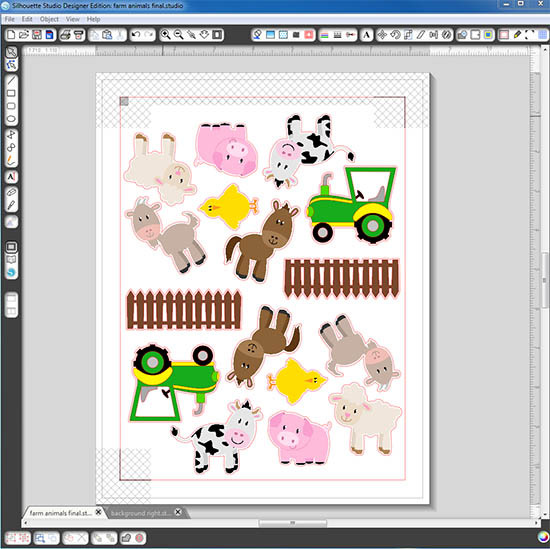 Then, using the recommended cut settings in the Silhouette Studio software, I cut out 10 sheets of magnets! 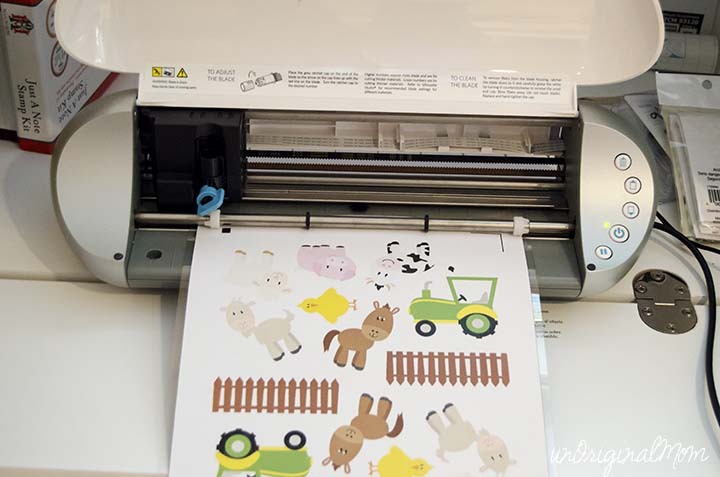 I found it best to use a really sticky mat, then once it’s cut, peel up the excess magnet paper first so you’re left with just the animal shapes on the mat. Then, turn the mat over and peel the mat away from the shapes rather than the other way around…that prevents you from accidentally decapitating an animal or losing a tail, since the magnet paper can rip easily on the super-sticky mat. I found that cutting magnet paper really does a number on your blade, so I wouldn’t use a new blade for this. I used Photoshop to crop the background into right and left pieces that would fit inside the dvd tin, then created a print and cut file for them as well, making the image slightly larger than the rounded rectangle cut shape. In hindsight, I could have just printed them 2 to a page sideways and used a paper trimmer and a rounded-corner paper punch to conserve paper (and not have to cut 40 of them individually with the Silhouette!) but they still turned out great. The backgrounds are just printed on plain white copy paper. 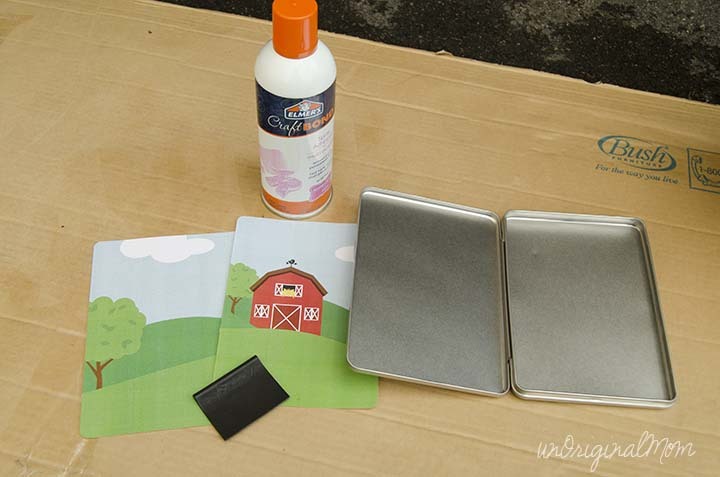 I used spray adhesive and my Silhouette scraper tool to attach them inside each tin. Finally, I created a simple label design and cut it out of vinyl to adhere to the front of each tin! Aaaaand they’re done…all 20 of them! Beyond the designing process, the assembly really wasn’t difficult at all – just a little time consuming. 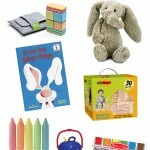 But considering I will be getting 20 unique toddler busy bags in exchange for these, it’s totally worth it! 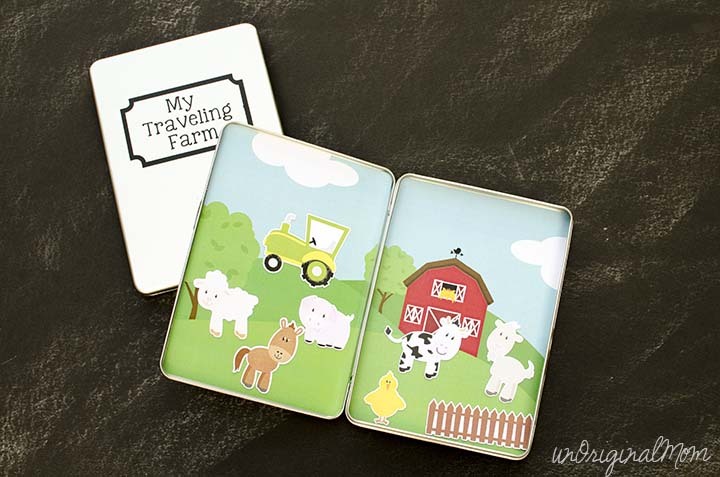 Of course, now my wheels are turning…I think these DVD tins have so many possibilities! 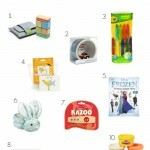 Under-the-sea, zoo animals, build-a-monster, letters & numbers, a seasons tree, dress-a-doll, build a snowman, decorate a Christmas tree, fill an Easter basket…you may be seeing a few more variations on this magnetic activity case in the future! And honestly, you don’t even need a Silhouette to make something like this! 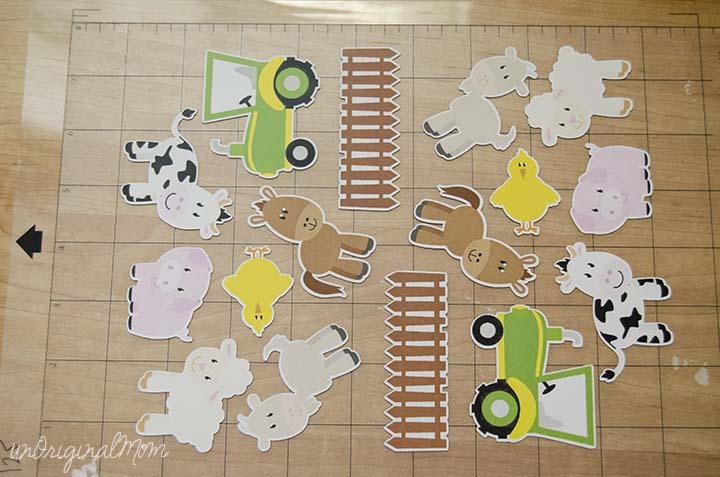 You can print your own background and cut it out by hand, and then buy some small animal magnets like these to fill up your case! Like this project? 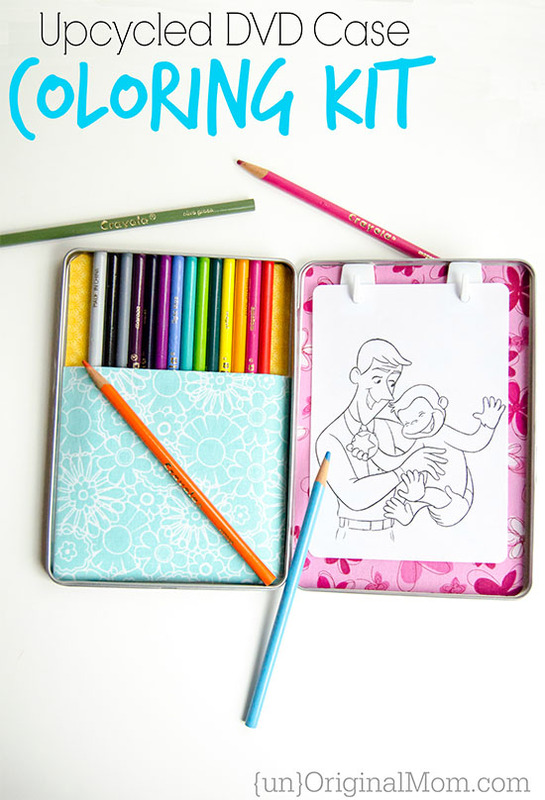 Come see another fun idea I had for these DVD tins – a DVD Case Coloring Kit! These are super cute! Are you going to let us know if/when you’re going to sell some? 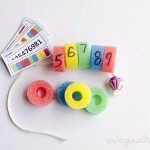 What a fun activity for your little one! Thanks for the tutorial! Are you selling them?? Would love to buy some! Let me know! This is adorable! I wish you could buy the DVD cases in smaller quantities, if you decide to sell some blank ones I would love some! If you have any blank cases left, I would love to buy some off you! Please, please!! I’d love to buy some blank cases from you as well. LMK if you have any left!! Oh goodness! I need to make these for my twin granchildren! Just fabulous! I’m guessing after all the requests above you have no tins left haha! I would also love to buy some blank cases if you have any left and want to sell them. I would love to make a few different magnet twins for my three year old boy, he would love them! I recently made these for my nephews birthday party and they were a BIG hit. Something so simple can look so fun. Thank you! Oh my goodness, I LOVE this! Please let me know if you decide to make and sell them. I’d be in for more than one, for sure! I don’t think I’ve told you yet how clever these are. So cool! Adorable!! Did you put anything on top of the animal cutouts to protect them? Also, if you’re interested in selling some cases, I’d be interested in buying a dozen or so. I would love to buy some blank cases if you still have some available! Please email me! this is the coolest thing I have seen this month! So awesome! 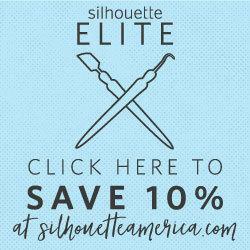 Would you mind sharing the silhouette file you created for this? 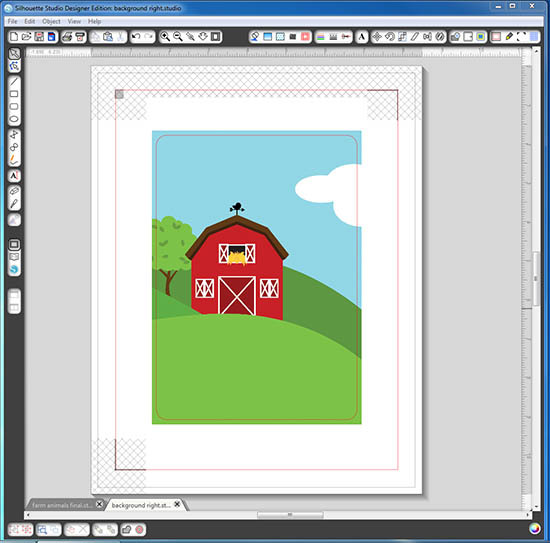 Hi Laura, I created my cut files from clip art that I purchased from Etsy, so I cannot share it. I did link to the clip art in the blog post if you’re interested in purchasing them yourself, though. If you haven’t already used them all or sold them all, i’d definitely buy some dvd cases – or completed magnetic farms from you too. Paper Mart has little tin containers and can be purchased in smaller quantities, I believe. Yes, those are an option! They were smaller than what I wanted for this project, though. 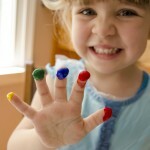 But I’m sure you could use them for lots of clever little things! Hi! Have you started selling these yet? I don’t currently sell them Alaina…just not enough hours in the day! Sorry! You might find something similar on Etsy, though!